JALPAN de SERRA, Mexico – On a Saturday afternoon in March, a line forms inside a pet store in this city of 22,000 in the highlands of the state of Queretaro. But the people in line are not here to buy dog food. The line begins at the back of the store and almost reaches the entrance, passing under dangling dog leashes and horse reins, leading to a booth. It is here area residents receive their remittances, money sent home from loved ones working, often without documentation, in the United States. Remittances are vital to the families and economies of small impoverished towns around Jalpan, a picturesque city that has been gradually losing population since the mid-20th century as many residents have moved north to the U.S. in search of work. Remittances are also vital to the country as a whole. The Bank of Mexico reported that these cash transfers, almost all from the U.S., reached $27 billion in 2016, surpassing oil as a source of foreign income. And according to the central bank, the amount of money being sent to Mexico has picked up noticeably since the election of President Donald Trump, who in January proposed funding the building of a border wall by blocking or taxing remittances. The blocking of remittances would drastically change lives in Jalpan and the surrounding villages. Jose Sanchez said about every 15 days he drives an hour and half from his hometown of Pinal de Amoles, to the pet store in Jalpan to receive money his brother sends from the U.S, where he has been living for 17 years. The money helps pay the salary of three construction workers who are building a family ranch. “If they (relatives in the U.S.) don’t work, well sometimes you don’t have a job, because sometimes they are the ones that generate work in the communities, in the ranches that they’re from,” he said. Before he was deported, Sanchez lived for four years in the U.S., working in construction and picking oranges. Sanchez said in Mexico, on average, a person earns 1,000 pesos, or 55 dollars, in a week, something you can earn in less than a day in the U.S. “The difference is huge,” he said. Mexico’s low wages lead the poorest in Mexico to do what Sanchez did—immigrate and remit to their home country. A tax on remittances, as Trump has proposed, would affect the most vulnerable people in Mexico, researchers say. The National Population Council estimates that one out of 10 Mexican families, about 1.3 million homes, depends on remittances. Daniel, who asked that his last name be withheld, is an undocumented immigrant who has lived in Phoenix for 17 years. 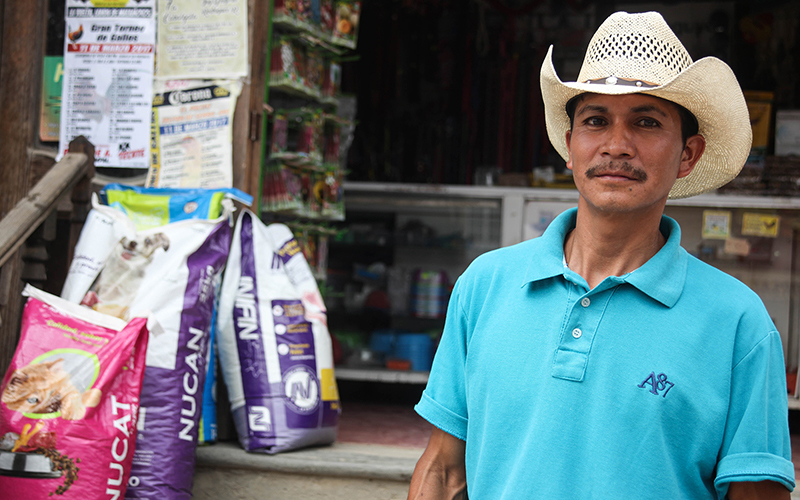 He sends remittances every month to Mexico to pay off a bus he bought to start a family business. His parents charge people for rides and the small profit they make is their income. “They (remittances) are necessary. If they block them, it is going to harm a lot of people and shake them up,” Daniel said. His parents “depend 100 percent” on the money he sends. A 2014 study from the Inter-American Development Bank found that remittances sent to Mexico provide economic sustenance for almost 20 percent of the country’s poorest, rural communities. 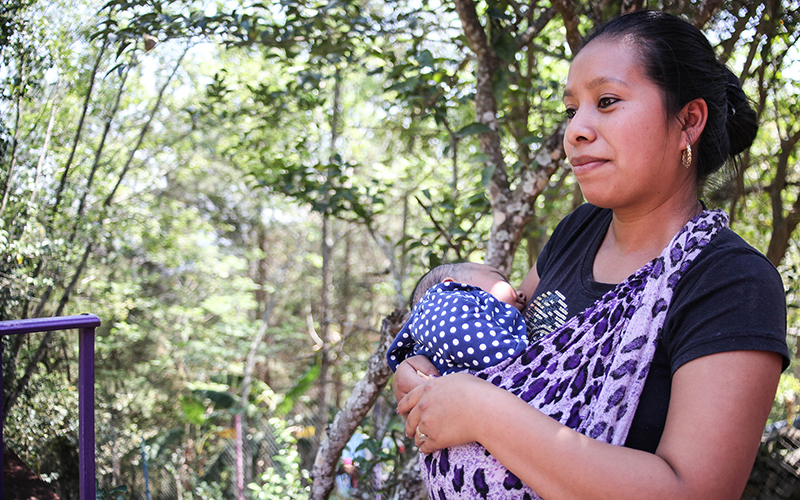 “If we didn’t, (get remittances) me and my children wouldn’t have anything to eat,” said Marisela Zuñiga Ramirez, 23, who lives in Rincon de Pitzquintla, a small village a few miles away from Jalpan. Towns and villages around Jalpan and throughout the state of Queretaro rely heavily on remittances. The Bank of Mexico reported that in 2015 families in Queretaro received $460 million from remittances. Humberto Berrones Montes, a local historian , said Jalpan has particularly benefited from remittances. The city saw an economic transformation after people started migrating to work in the U.S. about 40 years ago. He estimated that at least 60 percent of families in Jalpan have at least one relative who works in the U.S.
Juan Trejo Mata, 40, a resident of Jalpan who twice journeyed to the U.S. to work, said it’s very common among families in the area. Trejo left Jalpan when he was 14. When he got to the U.S., he said he was too young to work, so he went to high school. But he dropped out during his junior year to start working in the fields with his dad. His father had followed Trejo to the U.S., promising his wife he would return with their son. “We always sent money to my mom,” he said, recalling the amount was about $200 a week. They saved enough money to return to Mexico but when Trejo was 22, he returned to the U.S. because he couldn’t find work in Jalpan. This time, he worked alongside his brothers at a company that produced corn oil. Again, he sent money to his family in Mexico that was used to buy “groceries, more than anything,” Trejo said, or to pay the doctor when his mother got sick. Now, without remittances, he said he and his parents live simpler lives. Proposals to tax remittances didn’t begin with Trump. Similar proposals can be traced back to as early as 2005 when conservatives in state legislatures began to introduce bills that targeted remittances sent by undocumented immigrants. Proposals to levy fees on remittances from undocumented immigrants were introduced in California, Texas, Nebraska and North Carolina – but all failed. However, in 2009, the Oklahoma legislature overwhelmingly approved HB 2250, “The Drug Money Laundering and Wire Transmitter Act,” which put a $5 flat fee on remittances, plus an additional 1 percent fee on remittances over $500. The passage of the law drew the ire of money-transfer company officials. “The Oklahoma government is using us to further their anti-immigration agenda, and the war on drugs is their cover,” wrote David Landsman, executive director of the National Money Transmitters Association, in a report about the transmitter fee in Oklahoma. Legislators in other states including Kansas, Tennessee, Mississippi and Texas, have modeled bills after Oklahoma’s that have yet to become law. One unique proposal introduced in 2011 by Mississippi Republican state Sen. Joey Fillange would have put a $5 flat fee on remittances to create a fund to send money to states along the southern border to build a border fence. In an interview with World Net Daily, Fillange said the idea to create a Border Fence Fund was given to him by a group called the Mississippi Patriots. Other proponents for taxing remittances argue that immigrants take money out of the U.S. economy. But others disagree with Stein’s premise. Monica de Bolle, a senior fellow with the Peterson Institute for International Economics, said that taxing remittances could not only impact families in Mexico but U.S. companies that export to Mexico. She points out Mexico is the second largest consumer of U.S. exports. However, Christopher Wilson of the Mexico Institute, believes the impact taxing remittances would have on the U.S. economy would be minimal. A tax on remittances also could lead people to find other ways of sending money home and avoiding the tax, experts say. “The tax won’t be effective, so it’s just going to drive money underground, that’s what will happen if we tax individual remittances,” said Will Madden, who worked for 15 years at Western Union, one of the largest money transfer companies in the U.S. He is now the CEO of Bridge21, an app that allows users to send money to Mexico, by buying and selling bitcoins. De Bolle said there are many ways people could get around the tax, including giving cash to people traveling to Mexico and circumventing banks and transfer companies. Some of those receiving and sending remittances agreed. 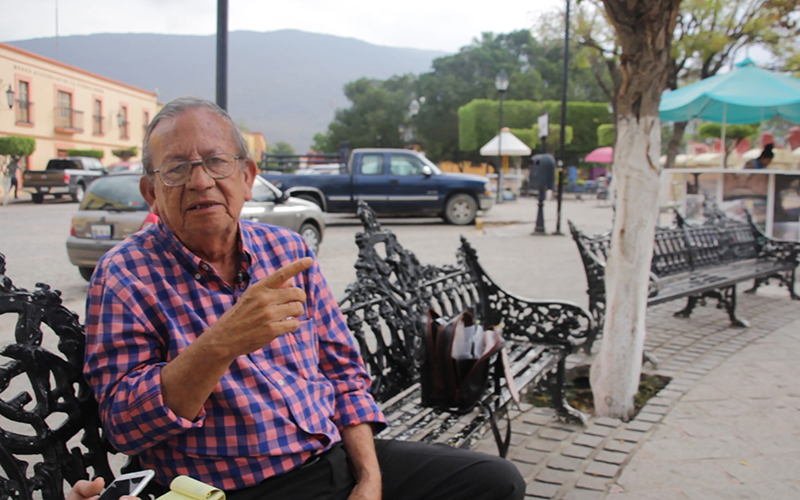 “If there isn’t a way to send electronically, they’re going to keep bringing remittances through people that come and go,” said Trejo while buying an ice cream in the central square of Jalpan. Daniel, the undocumented worker living in Phoenix, said immigrants aren’t worried about a tax on remittances because, “we all have a family member, a friend, a neighbor” who can take cash to Mexico. He said he has to send money to Mexico not only to finish paying off his bus, but to buy medication for his dad who has diabetes and his mother who has vertigo. So, if it’s cheaper to pay a friend who is going to Mexico to hand-carry the cash rather than remitting with a tax, he has no problem doing it that way. “This is never going to stop. The money will keep going to Mexico, and Mexican families will keep receiving the money,” Daniel said. Wilson said that research shows that if a tax is small enough, people will just pay the tax. It’s not clear how large a tax would have to be to drive immigrants to a black market. The remittance fee in Oklahoma did not stop people from remitting to Mexico. According to the state’s tax report in 2015, the state collected more than $11 million in taxes from remittances, a small portion of their overall tax revenue, which was $3 billion. But companies like Bridge21, are already using technology to make remitting cheaper. “I think what we’re really excited about is just bringing down the cost of moving money and sending money home,” Madden said. Bridge21’s app allows people to send money to Mexico by selling and buying bitcoins, although the user never actually has to deal with bitcoins because the app does it for them. Madden says the transaction can take as little as five minutes before it is deposited in Mexico, and depending on the market price of bitcoins, the cost of remitting through Bridge21 can be much cheaper than remitting through banks or wire companies. So far, Trump has not followed through on his proposal to block remittances to Mexico. But efforts to tax remittances at the federal level are already underway. Rep. Mike Rogers R-Alabama, introduced HB 1813 or the Border Wall Funding Act of 2017. If enacted, it would impose a flat, 2 percent fee on remittances sent to Mexico and about 30 other countries, among them Guatemala and El Salvador. The bill is currently sitting in committee. Wilson doesn’t think such measures will pass because the U.S. historically has favored free market principles and the movement of capital between countries without taxes. “The U.S. has always argued against those types of measures, so one of the impacts of putting a big tax on remittances would be that the U.S. would lose some of its leverage in international relations on capital controls,” he said. Moreover, Wilson said U.S. policymakers need to take into consideration the two countries’ economic relationship. Mexico is the United States’ third largest trade partner with an estimated $583.6 billion in trade in 2015, according to the data from the Office of the United States Trade Representative.